The Wilson Staff D-100 golf headwear features a modern shape and is designed for the golfers who appreciate both stylish design and maximum comfort. The cap has the A-Flex construction to provide a perfect fit, as well as a higher front and a flatter brim that can be curved. This black cap features white stitching on the brim, eye-catching 3-dimensional Wilson Staff logo on the front and the D-100 side embroidery. 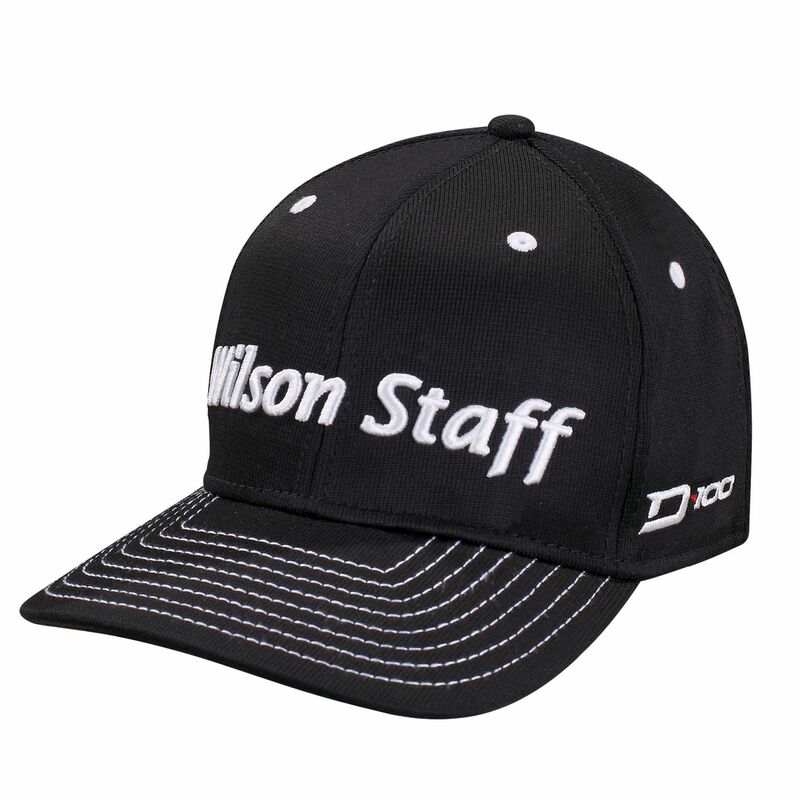 for submitting product review about Wilson Staff D-100 Golf Headwear.